For the most part, it is universally accepted that when sourcing and placing your trust in a supplier for any industry that the main focus is usually on price, quality, and overall service. A common mistake is focusing on pricing alone but getting the better price does not always translate to getting the better deal. We, at Nema Enclosures, embrace the concept of quality through continual improvement, which is why we are proud to announce that our Quality Management System has achieved certification to the new ISO 9001:2015 standard. Our successful certification is a testament to the positive engagement of colleagues at all levels, and demonstrates our commitment to embrace the standard as a fundamental element of continual improvement, quality and customer focus strategies. We can ensure we are able to meet the needs of not only our existing customers but also all new and future prospective customers by delivering exceptional enclosures built to your specification. Issued on June 14, 2018, the certification is valid for three years and is provided by DNV GL – Business Assurance. ISO 9001 is the most widely used quality management standard and has recently undergone a periodic update to better reflect modern business challenges. It’s a symbol that everyone — our customers, our employees, our suppliers — recognizes and values. Last modified in 2008, the new 2015 version of ISO 9001 is the result of input from business and technical experts around the world. The program requires greater involvement of senior management, broader understanding of supply chains, and more focus on stakeholder (not just customer) expectations. We have developed and implemented our Quality Management System in order to maintain a high level of quality and responsive customer service, improve overall performance and efficiency, and to provide a firm foundation in our approach to continual improvement initiatives for technology, design, and processes and procedures. The decision to adopt and implement the requirements of ISO 9001 and achieve accreditation through an independent third party certification body demonstrates Nema Enclosures’ dedication to providing high-quality and consistent products and services to our customers. 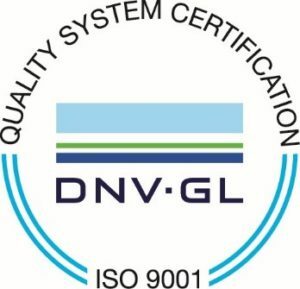 To become certified to the ISO 9001:2015 standard, Nema Enclosures underwent a demanding certification and audit process that included development of the quality management system, documentation review, internal audits, and finally the comprehensive certification audit by DNV GL. We at Nema Enclosures would like to extend our sincere thanks and appreciation to all of our employees for their efforts in achieving this goal; this would not be possible without a strong team effort, and we are very proud and grateful to all of our employees who made this happen. We would also like to take this opportunity to thank our customers and suppliers for their continued loyalty and commitment, and we will always strive to exceed all of your requirements. We recognize that while this achievement is an important milestone for Nema Enclosures, our work is not done yet. With our focus on quality assurance and continual improvement, we look forward to raising our organization to new heights in the years to come. For more information about DNV GL – Business Assurance, visit www.dnvglcert.com.